Fulham vs West Ham United predictions for Saturday’s Premier League clash at Craven Cottage. Fulham hope to drag themselves off the bottom of the Premier League table when they host an in form West Ham side. Read on for all our free predictions and betting tips. Dean Goddard from Free Super Tips covers our Fulham vs West Ham United predictions and betting tips in the video preview below. Hopes were high for Fulham at the start of this season. They had taken a gamble and spent big in the transfer market as they looked to secure their Premier League future, but coming up to the halfway point in the season they find themselves in desperate need of a rescue. Claudio Ranieri was the man deemed good enough to pull off a rescue, but things aren’t looking particularly bright under the Premier League winning manager’s guidance just yet. The Cottagers sit rock bottom of the table with a 3 point deficit on the safe zone. Last time out they were hammered 4-1 at the hands of Manchester United, a result which makes it 1 win, 1 draw, and 8 defeats from their last 10 league games. They have conceded a league high 40 goals in their 16 games so far and are yet to keep a clean sheet in the competition. 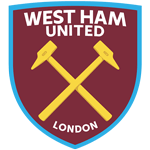 West Ham certainly aren’t an unbeatable outfit, but they are showing a lot more quality at the moment than they were at the start of the campaign. The Hammers lost their opening 4 Premier League matches this season, but their 3-2 comeback against Crystal Palace last weekend gave them their 3rd consecutive Premier League win for the first time since December 2016. Manuel Pellegrini’s side are maddeningly inconsistent at times, but the talent is definitely there and their recent resurgence has been enough to push them up to 11th in the table. They have scored 3 goals in each of these victories, which has made up for their lacklustre defending at the other end. The visitors have seen a total of 48 goals in their 16 games so far this season, and they’re facing a Fulham side who have seen 56 goals in their games. This makes for respective averages of 3 and 3.5 goals per game, so one thing we can expect on Saturday evening is some goalmouth entertainment. Both Fulham and West Ham have seen at least 3 goals in 10 of their 16 league matches so far this season, and with each of the last 6 meetings between the sides also seeing 3 or more goals we like the look of Over 2.5 Goals here, along with a 2-1 win for the in form visitors. We’re also backing summer signing Felipe Anderson to find the net for The Hammers. The Brazilian has scored 6 league goals for his new club this season, and 5 of them have come in their last 6 matches, so he looks a great value offering for our anytime goalscorer predictions. West Ham have won 55% of their Premier League meetings with Fulham (11/20); their best win percentage against any London opponent in the competition. 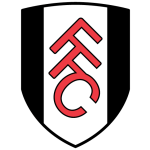 After winning just two of their first 17 games against West Ham in the Premier League (D5 L10), Fulham have since won two of the last three (L1). The last time Fulham faced West Ham as a newly-promoted Premier League side was in April 2002, with Frederic Kanoute scoring the winner for the Hammers in a 1-0 win at Craven Cottage. Fulham are now without a clean sheet in 20 Premier League games, conceding 51 goals since a 1-0 win against Norwich City in April 2014. West Ham United are looking to secure four consecutive Premier League victories for the first time since February 2014 under Sam Allardyce. West Ham United haven’t won any of their last seven Premier League away games against sides starting the day bottom of the table (D5 L2), drawing the last four. Their last such victory was against QPR in October 2012 (2-1). Fulham have had fewer different players score a goal for them this season than any other side in the Premier League this season (5). West Ham manager Manuel Pellegrini has won both of his previous two Premier League games against Fulham, with his Manchester City side scoring nine goals against them in the 2013-14 season (5-0 at home and 4-2 away). West Ham striker Javier Hernandez has scored three goals in his last three Premier League games. His next goal will be his 50th in the competition, with all 49 so far coming from inside the box.